The Jane West Beaker Water Pipe is a one of a kind smoking device! The Jane West Beaker Water Pipe is a simple yet striking pieces from the Jane West x Grav Labs Cobalt Collection. Jane West’s signature cobalt blue color is the first thing that separates this water pipe from all others. This beautiful blue comes from pure cobalt ore used to make the pieces in the collection. While the cobalt ore gives the bold hue, the world’s purest silica gives the stamp of quality. 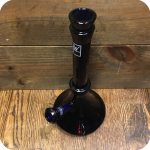 This borosilicate water pipe is certifiably of superior quality than the majority of water pipes on the market. Borosilicate glass is extra-resistant to thermal shock–more so than any other type of glass. It’s resistance to thermal shock helps to prevent cracks, expansion, and breakage of the glass. 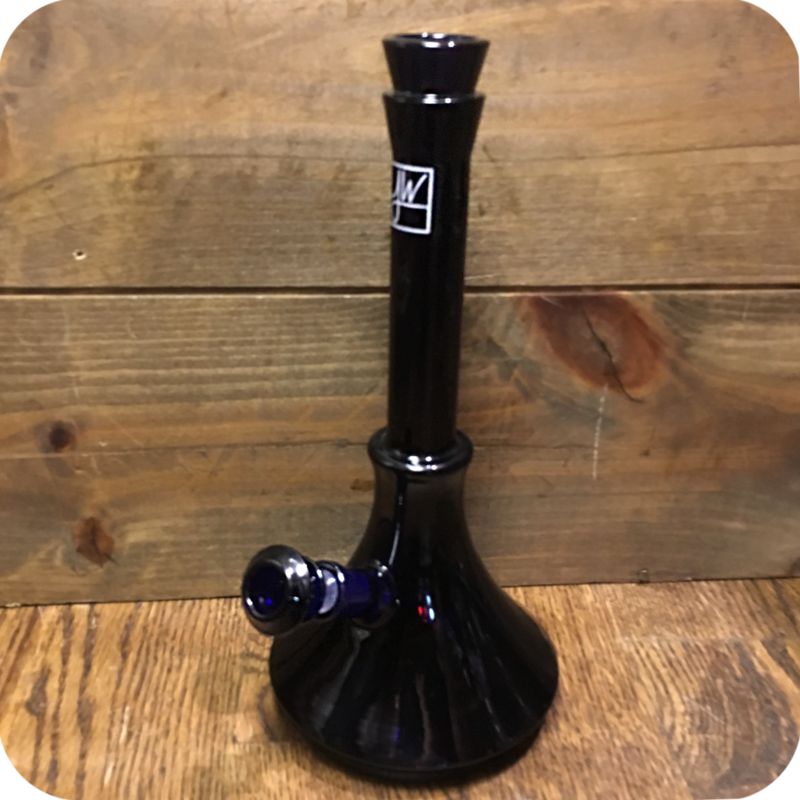 This approximately 10 inch tall water pipe sports a generously sized bowl. 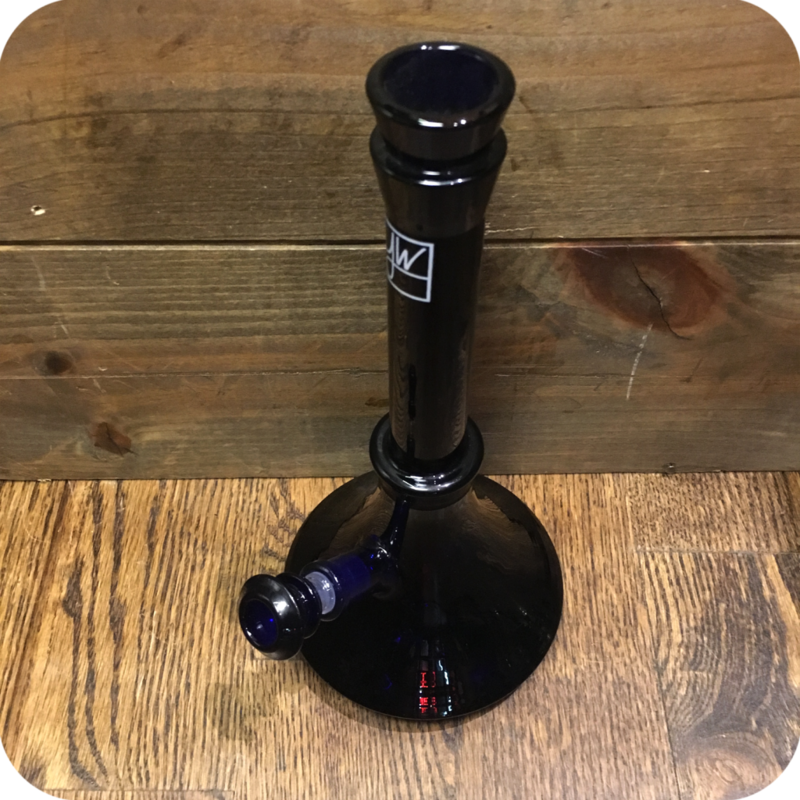 The bowl is attached to a fixed, diffused downstem, which makes for seamless use. It’s perfect for personal use, and sharing with friends. Either way you can not go wrong! Be sure to grab some Formula 420 Cleaner while you are here to consistently make sure you keep this pipe cleaned properly. With enough care and maintenance this pipe could easily last you a lifetime. She’s an empress of legal herb culture, on a mission to make heady glass products with women in mind. She believes that women will fuel the market by buying wellness products like hers to replace big-pharma products. All her products are made ethically, which makes purchasing one of her products a small way to support ethical trade. Finally, do not forget to swing by either one of our two Brooklyn store locations to see what else we have to offer! We are always loading up on awesome new products, and have something for every smoker! We are located at 518 Grand Street in Williamsburg, and 12 Wilson Avenue in Bushwick. Tags: Jane West, Jane West Pipe, Jane West Water Pipe, water pipe.